Not a User ? Join Careerana Today ! » Register Now! It's absolutely free! » Comprehensive exposure to your CV. » Receive suitable job offers in your Inbox. A professionally written resume by experts. Designed as per current industry norms. Most intelligent & intuitive search engine. Receive unlimited responses for your job ad. You aced it. Or at least you thought you did a stellar job during the job interview, but now that a month has come and gone, you're not so sure. You thought you would get at least a phone call a few days or even a week later regarding next steps, but now? Not so much. Insert crickets. A professional network that goes by the name LinkedIn, serves the need of being AVAILABLE to the recruiter, once found. Its time that one should understand its importance and time to dust off the cobwebs on LinkedIn profile and set things straight. Here are a few things that a job seeker should do to get his / her LinkedIn professional profile back on track and benefit from it. So, let�s get started on getting to fix back your LinkedIn profile. What more do you need to write for a perfect resume and post it for you to get amazing response? It is better to write a resume for an internal job yourself in the right way and reap the benefits you want. You can only send a job resume when you have followed the protocol and use apt. HOW TO CREATE A PROFILE THAT WILL ATTRACT RECRUITERS? 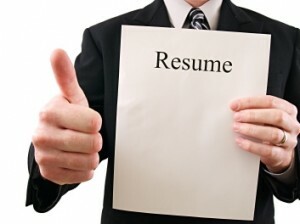 The most important element for any job seeker is their profile or resume or better known today as a Curriculum Vitae. With the evolution of technology, the mode of resume submission for every job seeker has evolved too. Today, more than 50% of organizations prefer having subscriptions to job portals to get easy access to over a million profiles from across the world. A resume is the first piece of information that reflects your experience and achievements; however a Good resume is one that presents the information with good use of language in a well-structured format. Every year there are millions of graduates that are in the market hunting for good jobs, thousands of aspirants looking to change their jobs and many others looking at promotions in other companies. The basic thread that binds these categories of people is a good resume. Despite a wealth of experience, if you�re not getting the sort of response you are seeking, give your resume a second-look and ask yourself if it recounts the story of your career or simply recites a bunch of facts. IT & Non IT Resumes. 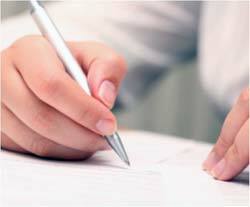 Get your resume written by experts as per to the market standards. Increase your resume visibility upto 200 to 300%. Forward your CV to top more than 1000 companies & consultants. Only filtered jobs in your inbox. Most jobseekers perhaps have the wrong notion that a resume can land them a job. I am pleased to say that I am very much satisfied by the responses given by the executive, regular touch and feedback's, fast updations and no doubt an excellent customer service. Hope this will be continue in future so that i can refer some of my friends for the same. The developed resume is very much adequate to describe and it looks that it is a kind of your specialty and a noble professionalism.Thanking you for being with me and to do full support to achieve the next goal of my life. I have got the job in just 20days after subscribing through Careerana.com in Mumbai, That too on a very good Package. Outstanding service offered by Careerana.com, Its worth paying here. 3 years experience into Production planning and control. I have taken the services from Careerana.com; the Cv developed by them was perfect and helped me in getting a job soon in Allahabad as per my preference. Thanks Careerana !!! Thank you Careerana!!! I have got 2 to 3 offers from the companies, out of which I have chosen one in Karnataka. I appreciate for your efforts that your team is putting in and helping us to achieve a good job opportunities.